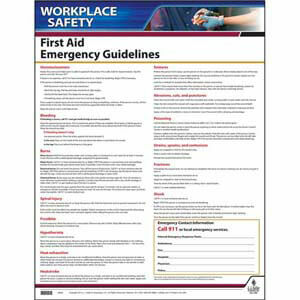 Provides "how-to" first aid information. 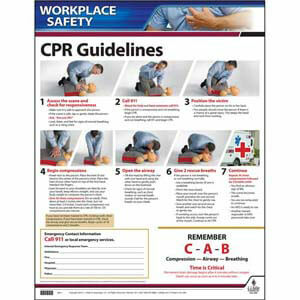 Covers eight key points to CPR. Covers the first aid steps to saving a choking victim. 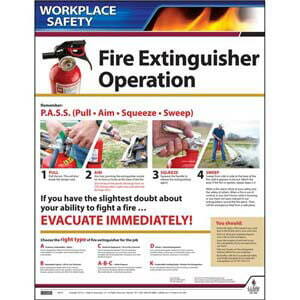 Covers fire classification and how to operate fire extinguishers. 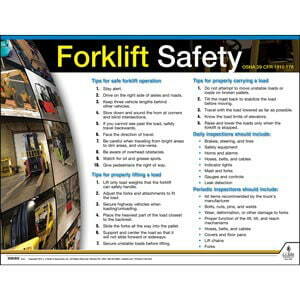 Outlines forklift safety procedures to help comply with OSHA regulations. 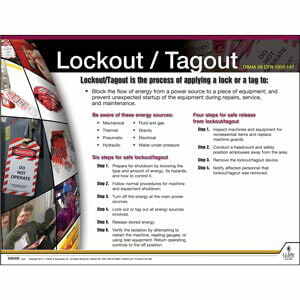 Outlines lockout/tagout info to help comply with OSHA regulations. 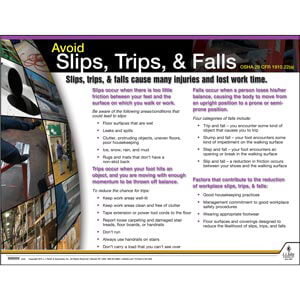 Outlines info to help comply with OSHA regulations. 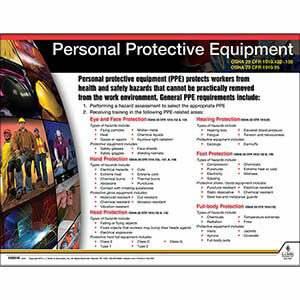 Outlines personal protective equipment info to help comply with OSHA's PPE Standard. 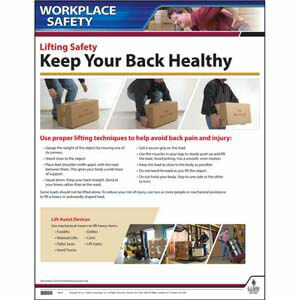 Outlines the proper procedures for safe lifting and general back safety.